Hooray! It's Giveaway day here at the GSMC Book Review Podcast! and Ella and Alex for winning copies of both! Our current giveaway is open until Saturday. If you would like to win a copy of The Undiscovered Country by Mike Nemeth just go to our Facebook, Twitter, or Instagram page and comment on the post with Episode 82 to enter! Check out future episodes for the books to be featured in the next round of giveaways! This wasn't right. Mike had started teaching to get away from seeing dead bodies. Now there he was, staring at the corpse of a colleague slumped at his desk. 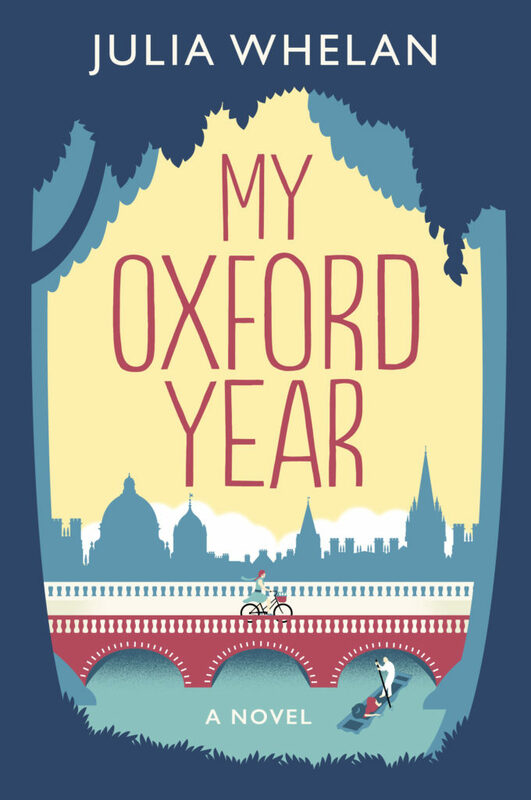 All the signs point to Gil, a nervous undergrad with a bone to pick with the late Dr. Clerkwell, but something doesn't add up. When a stack of blank diplomas goes missing, Mike realizes there's much more going on at his quiet rural university than he could ever have imagined. Pushed from his peaceful sanctuary, he's forced to call on the military training that he had hoped was all behind him. At 10 AM, Tom Coleman saw a man he knew was dead. By 10 PM, he was dead and the man walked free. When Mike Airlie, former colonel in the army and Vietnam vet, arrived at the dorm, Tom’s body was hanging cold from the rafters. He wouldn’t be the first or last soldier to take his own life after the horrors of ‘Nam, but something didn’t add up. 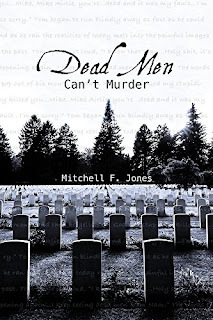 As Mike picks apart the clues, he realizes that the death is not at all as it seems. To complicate matters, he also has to fight a pervasive stigma against suicide in the veteran community. Racing against the clock before the killer strikes again, he draws on all of his law enforcement connections, but the deeper he digs, the more dangerous it becomes. Mitch learned to read early in life and was reading Hardy Boys mysteries at a young age. 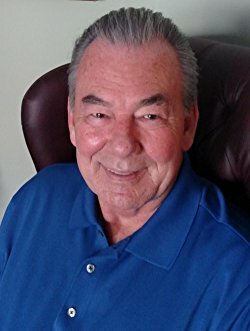 He has always known that he wanted to write mysteries, and now that he is retired he is fulfilling that dream. This was the second time since starting the podcast that I got to interview a friend, and I really love it. I love speaking with all of the authors I interview, for the record, but being able to see friends who are living out their dreams is truly wonderful. The books are historical fiction, but they aren't set that far in the past (1980s) so it was really fun to see the differences and the similarities to now. I also enjoyed remembering certain technology or situations from my childhood. There's a character named Sara! She's not actually named or patterned after me (otherwise there would be an h on her name) as Mitch created the series before we met, but there are a few similarities, so I like to pretend I'm sort of in a book. :-) I do also think there are some interesting story lines involving Sara and the other secondary characters that we will learn more of as the series goes on. Mike himself is a really interesting character who has a lot in his past that he is still working through. He doesn't want to investigate murders, but those investigations actually help him resolve or come to terms with some of his issues. To hear the interview with Mitch please click here. On Episode 82 of the GSMC Book Review Podcast I spoke with Mike Nemeth about his new book, The Undiscovered Country. This is his second novel featuring his main character, Randle Marks (the first book is called Defiled). 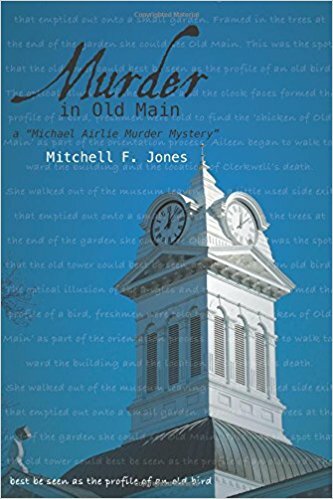 He is summoned to his boyhood home of Augusta, Georgia to face long-suppressed memories, contemptuous siblings, and his dying mother’s desperate attempts to conceal her secrets and preserve her dignity. He battles dispassionate doctors who are reluctant to waste resources on a terminal patient and, in the process, discovers that his mother’s fate may not be an act of God. While investigating her medical situation, he uncovers conspiracies to hijack two estates—his mother’s modest estate, and that of a wealthy man who claims to be his birth father. To bury the past, he will have to learn the truth about the past. The Undiscovered Country is a book that provides layers of mystery and storylines. Overall, it's the story of a man who goes home to be with his dying mother, but once there he uncovers secrets, plots, and mysteries of a variety of kinds, all of which manage to tie in to one another as the book progresses. The layers of mystery. There was a lot in this book to try and figure out, and lots of twists and turns along the way. I found it difficult to root for many of the characters in this story, but Mike's writing kept me engaged throughout. He has a relaxed and engaging way of telling a story that makes it easy to visualize and enter into. "Whether I could admit it, their lives had been mooring lines lashing my little boat to origins I could neither embrace nor discard. When my father passed away, my little boat, tethered only by Mom's lifeline, swung in an aimless circle, but it soon stabilized. Losing my mother wouldn't be as easy a blow to absorb. Without her, my little boat would have no past - only an uncertain future." "Some unfamiliar force was driving me to save my mother and unravel the mysteries surrounding my siblings As I stood silently sweating, I knew that explanation was a rationalization. Maybe an obfuscation. I needed to use this crisis to put my past behind me, to kill off Jack Marks forever so I would be free to live as Randle Marks." "However, the devious duplicity of my father and my siblings crushed my ego, my psyche, my being. 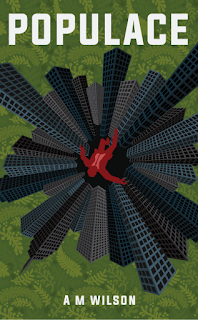 I felt as though I weren't a part of this family, so why was I bothering with this crisis?" Want to read The Undiscovered Country? Mike has been kind enough to provide 3 copies of his novel, and one of them could be yours! All you have to do is go to either our Facebook, Twitter, or Instagram pages and comment on the post with Mike's interview. It's as simple as that: just comment on Episode 82 on Facebook, Twitter, or Instagram, and you'll automatically be entered to win The Undiscovered! The last day to enter is May 26th and winners will be announced on May 28th. To hear the interview with Mike, please click here. A M Wilson was my guest for Episode 81 of the GSMC Book Review Podcast. A M joined me to talk about his debut novel, Populace, which is a dystopian, post-apocalyptic story set in the year 2151 after much of the US has been destroyed by a series of nuclear blasts. This particular genre isn't for everyone. If you're looking for pure escapism or a nice beach read, you might want to look elsewhere. But if you're looking for an incredibly well written, thoughtful, and somewhat frightening book, you should definitely check out Populace. It's somewhat frightening because it could so easily be true. It reminded me a lot of the dystopian novels I read in High School English, and A M says he was influenced by Brave New World for the concept of this book. 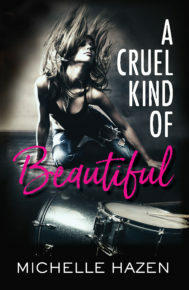 To be honest, this isn't my go-to genre, and it can sometimes take me awhile to get into this type of story, but A M's writing is great and the story definitely sucked me in once it got going. I needed to know what the heck was going on and what was going to happen to Tom. A M's writing. He has a unique way of putting words together that I found fascinating and even beautiful at times. Tom. Not so much Tom as a character, per se, but seeing the world through Tom's eyes. He's lived his whole life inside the walls of Omaha, medicated and complacent. Once he gets outside the walls he begins to see everything in a new way, and the reader gets to take that journey with him. The way the book kept heading in directions I wasn't quite expecting. Is it weird to say the book cover? It's fairly simple, and yet the more I stare at it the more I like it. "His work consisted of 20 percent insinuation, 15.5 percent innuendo and 60 percent rumor, with the remainder deemed 'fact' - just enough to give the vague scent of truth to whatever it was he wrote about." "'I don't think there's an alternative. All of us, all the time. We limit ourselves by our choices, and those choices are limited by our circumstances, and those circumstances are limited by other's choices that put us in that place, and around and around we go.'" "His personality rested on the strands of a spider's web, and so he wrote, When all around us is a lie, how can we trust our own selves as true?" Intrigued by Populace? Good news, it's giveaway time! A M has been kind enough to provide 3 copies of Populace and one of them could be yours! All you have to do is go to either our Facebook, Twitter, or Instagram pages and comment on the post with A M's interview. It's as simple as that: just comment on Episode 81 on Facebook, Twitter, or Instagram, and you'll automatically be entered to win Populace! The last day to enter is May 19th and winners will be announced on May 21st. To hear the interview with A M, please click here. If you've been reading the posts the last few weeks, hopefully you've noticed that we've been doing giveways with books from the authors featured on the podcasts. I have a lot of respect for the authors I speak with every week, and love being introduced to books and genres I might not have read otherwise. Being able to share those books with others is pretty much icing on the cake. Mondays have become giveaway day a the GSMC Book Review Podcast, when I take to social media to announce the winners of the most recent contests. 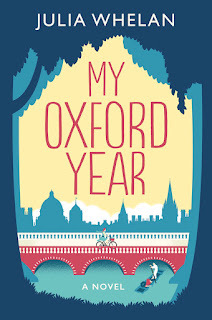 as well as to Rachel, Jen, and Veeda, who won copies of My Oxford Year by Julia Whelan. Our current giveaway is open until Saturday. If you would like to win a copy of Fade Out by Laurie Fagen just go to our Facebook, Twitter, or Instagram page and comment on the post with Episode 77 to enter! Check out Tuesday's and Thursday's episodes this week for the books to be featured in the next round! If you haven't listened to the interviews with Michelle and Julia, just click the links! 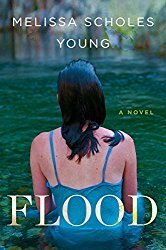 On Episode 23 of the GSMC Book Review Podcast, I interviewed Melissa Scholes Young about her debut novel FLOOD. Laura Brooks fled her hometown of Hannibal, Missouri, ten years ago after a historic flood and personal heartbreak. Now she's returned unannounced, and her family and friends don't know what to make of it. She says she's just home for a brief visit and her high-school reunion, but she's carrying too much luggage for that: literal and metaphorical. Soon Laura is embroiled in small-town affairs--the contentious divorce of her rowdy best friend Rose; the campaign of her twelve-year-old godson, Bobby, to become the town's official Tom Sawyer; and the renewed interest of the man Laura once thought she'd marry, Sammy McGuire. FLOOD is multi-layered in the stories it tells. First, there is the story of Laura's homecoming, but underneath is the backstory of why she left in the first place. Both of those stories involve the annual flooding that happens in Hannibal. The flooding is almost another character, and has a major impact on the story and its characters. There is also the layer of Mark Twain's connection with Hannibal and how the town has been shaped by the influence of him and his books. The story of Laura's return to Hannibal. Having grown up in a small town, I resonated with so many of her experiences in going home. The interspersed chapters about Mark Twain. I learned things I never knew before about the author and the area of Hannibal. Related to that, I enjoyed the secondary story of Laura's best friend's son's involvement in the annual Tom and Becky contest. Laura's relationships, their complexities, and the way they evolve throughout the story. "Water was what people talked about, worried over, and watched. Upstream and downstream, levees busted by force and by sabotage. Barges were stuck for months and the trains stopped running." "It doesn't matter how long I'm gone; Hannibal is home. And when you don't have another place to go, your roots run deeper." "Going to town and a trip to Walmart is an event. Half your social life happens in the parking lot. You see at least a cousin, a long-lost friend, and a lot of high school acquaintances every visit. There are only three degrees of separation between you and every other customer, sometimes fewer." I was born and raised in Hannibal, Missouri, Mark Twain's beloved​ boyhood home. I've lived a lot of places since I left, but Hannibal is still my hometown. My writing has been published in the Atlantic, Washington Post, Poets & Writers, Narrative, Ploughshares, and other literary journals. I'm a Contributing Editor at Fiction Writers Review and Editor of an anthology of D.C. Women Writers, Grace in Darkness. To hear the interview with Melissa please click here. Episode 78 of the GSMC Book Review Podcast features an interview with Laurie Fagen. 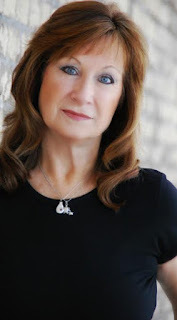 Laurie is the author of the Behind the Mic series, as well as being a contributor to the Tawnee Mountain Mysteries. 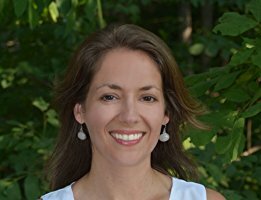 Laurie has led quite the interesting life (just take a peek at her bio below) and is now channeling her experiences into writing. 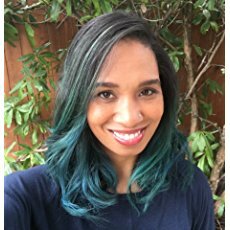 She was such fun to talk to; I hope you'll enjoy the interview and check out her books! A young radio reporter, Lisa Powers, covers the crime beat for her Chandler, AZ station. She helps the police department solve cold cases, and for fun, she writes and produces a mystery theatre podcast. Lisa is a crime reporter, helps the police department solve cold cases, and writes and performs a mystery podcast. You might say she has a singular focus when it comes to her interests. This focus, though, makes her very good at her job and very effective at her work helping with the cold cases. She's young and a little over-eager sometimes, which gets her into situations she probably could avoid if she wasn't such a go-getter. I read, and Laurie and I talked about, the 2 books described above, but there is also a prequel and a 2nd book in the Behind the Mic series. 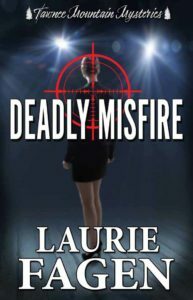 Deadly Misfire is part of the Tawnee Mountain Mysteries, so can probably be read as a stand-alone novella, but it does fit into Lisa's story as part of the series, and comes chronologically after the second book. The layers of mystery. Each book in the Behind the Mic series is 3 stories in one with the main story, a cold case, and the podcast. Deadly Misfire doesn't have a cold case since Lisa in New Jersey at a conference, but does still have a mystery and the podcast episodes. Related to the first point, it's amazing how much Laurie fits into a novel that's only a little over 200 pages. 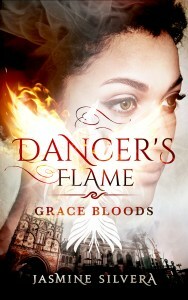 The writing is fast paced and the action draws you in immediately. Lisa's relationships. She's a workaholic and not always great with interactions, but she is loving and loyal and I'm interested to see how she and those relationships evolves as the series goes on. 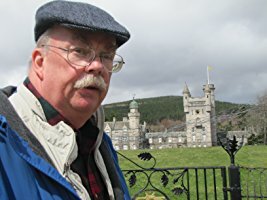 Another author's take on the Tawnee Mountain Resort. I find the concept of this collection truly interesting and have really liked seeing how each author puts his or her own spin on the location and characters. Remembering why she left Iowa in the first place, Fagen returned to the Valley of the Sun to work for the City of Phoenix Public Information Office. Finding a video camera in another department, she lead the city’s efforts in creating internal employee training and other video programs, and later founded The Phoenix Channel, the City’s government access cable television station. She created, wrote, produced and anchored a number of the shows that still exist today, discovering that there is life after television news. At the same time she was overseeing the news division for the SanTan Sun News, she and a business partner operated a contemporary art gallery in downtown Chandler, AZ, called Art on Boston, for three years. The gallery also had studio spaces for artists to work in and provided art classes, until the economic downturn of 2010, but she continues to promote fine art and fine artists on her Art Online AZ Facebook page. She is also a jazz singer around the Valley as Laurie Fagen & Friends. Do you love mysteries, cold cases, and podcasts? Would you like to read Fade Out? Perfect, because we have a giveaway! 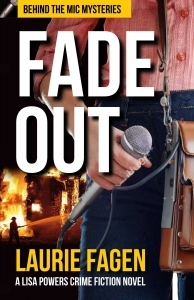 Laurie has been kind enough to provide a paperback, an e-book, and an audiobook of Fade Out and one of them could be yours! All you have to do is go to either our Facebook, Twitter, or Instagram pages and comment on the post with Laurie's interview. It's as simple as that: just comment on Episode 78 on Facebook, Twitter, or Instagram (and indicate which format you would like), and you'll automatically be entered to win Fade Out! The last day to enter is May 12th and winners will be announced on May 14th. To hear the interview with Laurie please click here.